400 people large event tents is very popular for outdoor activities this time. As you can see in the pictures, this aluminum structural large event tent with glass wall system looks more elegant and luxury as a mini castle. 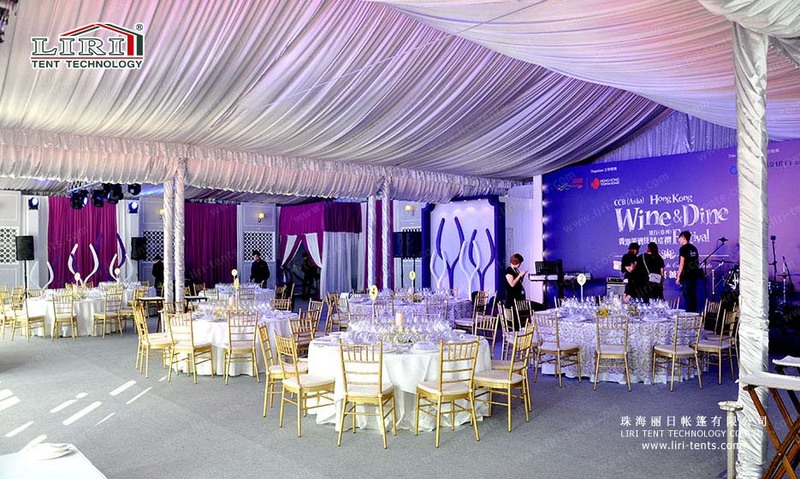 This large event tents with glass wall have different sizes, colors, and designs. If you need one, just let us know the requirements, then we can customize it. What’s more, all of our aluminum structure large event tents can be used for both temporary or permanent purpose and we have different fixing method for you. Finally, the large event for sale aluminum structure from LIRI TENT is really easy to set up and dismantle. It is really amazing.